Firebird is a cross-platform, lightweight, open source, relational database that was derived from Borland's Interbase, a database that was bundled with some versions of Borland's development tools like Delphi and Borland C++. I've used it some in the past. It is fairly easy to setup and use. 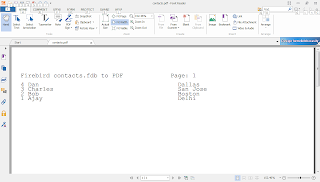 Here is a demo program that shows how to generate PDF output from a Firebird database, using my xtopdf PDF creation toolkit and the fbd Python driver for Firebird. # Demo program to show how to convert Firebird RDBMS data to PDF. 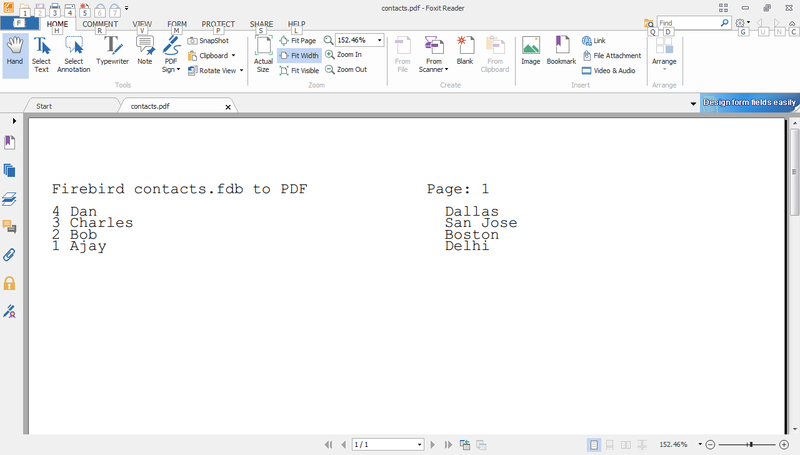 # Uses xtopdf, Reportlab, Firebird RDBMS and fdb Python driver for Firebird. Automatic data conversion from strings on input. Automatic input/output conversions of textual data between UNICODE and database character sets. Support for prepared SQL statements. Multiple independent transactions per single connection. All transaction parameters that Firebird supports, including table access specifications. Firebird BLOB support, including support for stream BLOBs. Support for Firebird ARRAY data type.